Quick! What's the first car manufacturer to pop into your head when you think of Rally Racing? 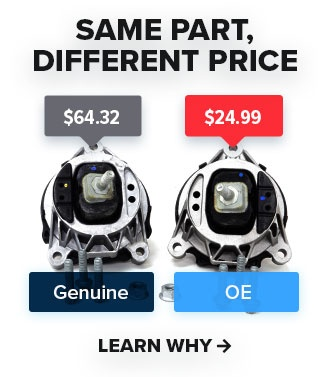 If you're anything like me, you'd be thinking of a certain blue, AWD, turbo flat-four sedan with over-sized mudflaps, anti-lag, and a gigantic wing. While North American Rally is saturated with these AWD six-starred gravel slayers, there are many other cars out there competing in the fun-filled, and highly competitive 2WD classes. The 2WD classes can consist of any FWD or RWD car that you can think of, given that it meets the technical and safety requirements. What better 2WD car to do this in than the tire-slaying, tail-happy E36 BMW M3? At least, that was our answer. My name is Ryan, and my wife Heather and I are Bearded Ryno Rally Team. 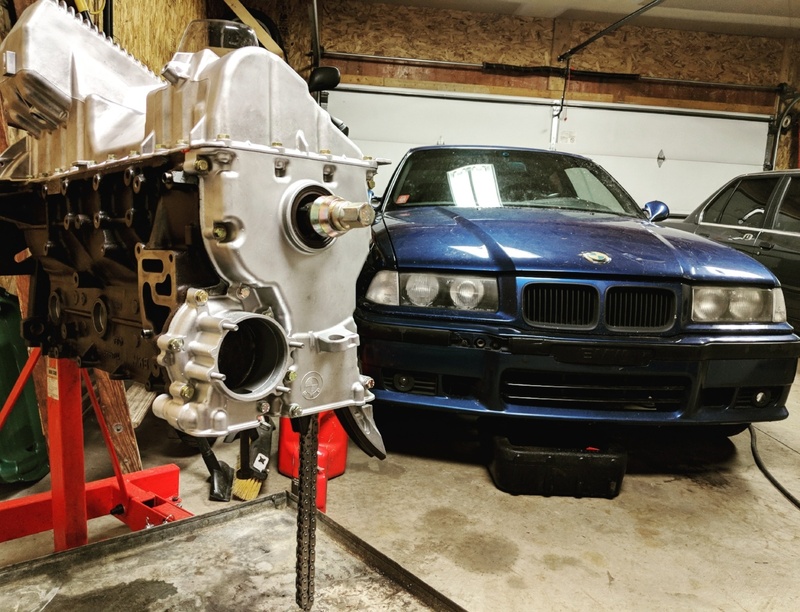 We decided to build a 1995 BMW M3 into a rally car to compete in NASA Rally Sport, Rally America, and American Rally Association events in and around the Midwest. We also plan on attending local rallycross and ice racing events to help hone our skills and to help shake the car down for our future racing adventures. Between the two of us, we have zero experience competing in a performance rally, but we have volunteered and spectated events in the past. Our racing history started in 2006 when we decided to enter my 2005 Subaru WRX wagon into a Detroit SCCA Rallycross event that my friend had convinced me to drive five hours to get to. Ever since then, we have been hooked. 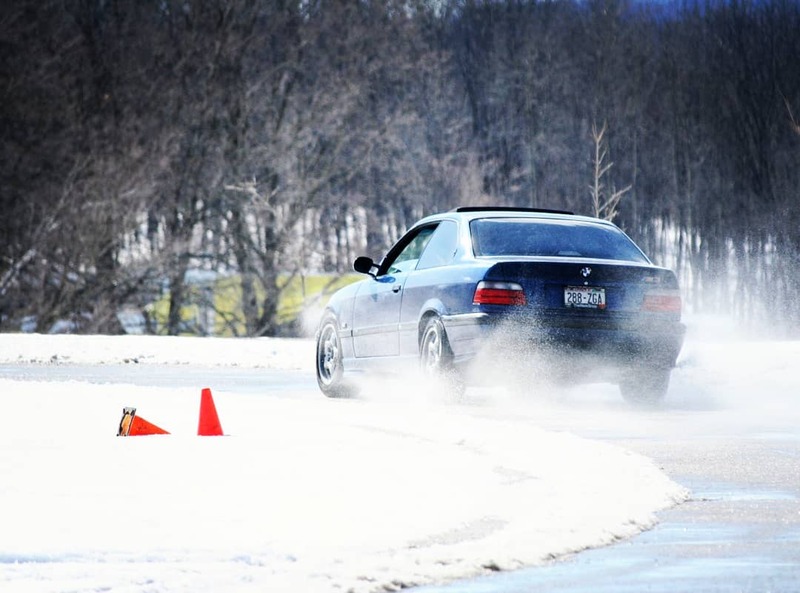 Over the years, we have competed in numerous rallycross events and turned to ice racing on the frozen lakes of Wisconsin when the weather got cold. We have competed in a few different cars over the years. After my WRX, we built a 1991 Subaru Legacy SS which was the most fun AWD vehicle that I had ever owned. Once my Subaru obsession faded, we started to compete in a 1989 BMW 325i which helped solidify my decision to build a RWD vehicle. 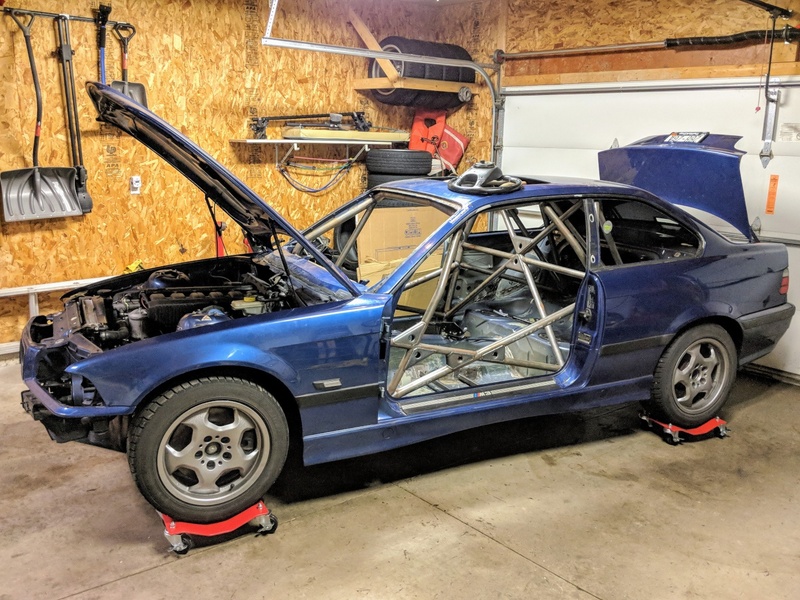 When faced with the task of picking a car to build into a rally car, we decided on a BMW because of their reliable inline-six motors, stout drivetrain, and rich racing history. It also helps that I work at a world-renowned BMW restoration shop called The Werk Shop where I am literally surrounded by awesome BMWs every single day. I acquired our 1995 BMW M3 in April of 2017 with a seized motor. The oil pump nut had fallen off which led to its demise. I spent the next few months looking for a good motor for it, and I finally found one an hour and a half away from home for $500. It was a 200k-mile motor that ran great when pulled, but needed some TLC. I proceeded to disassemble the engine for inspection and to fix all of the oil leaks that it had. We ended up completely going through the engine to refresh, replace, or upgrade parts as necessary. First things first, we installed an upgraded oil pump shaft and sprocket so that we would never have the issues of the old motor. Other upgrades included a revised oil pickup tube, Achilles Motorsports oil pan baffle, and a Stage 3 Vanos from Dr. Vanos. We ordered all new gaskets, rod bearings, and timing components through FCP Euro to finish it off just in time for a winter autocross at Road America in March of 2018. From there I daily drove it for a few months before deciding to park it in the garage in June to start the current rally car build. Currently, our M3 is a rolling chassis that was recently caged by Thompson Racing Fabrication in Maple City, MI. We are in the process of finishing up some seam welding and closing up the sunroof hole so that we can get the interior painted before we make the big push to get it all back together. 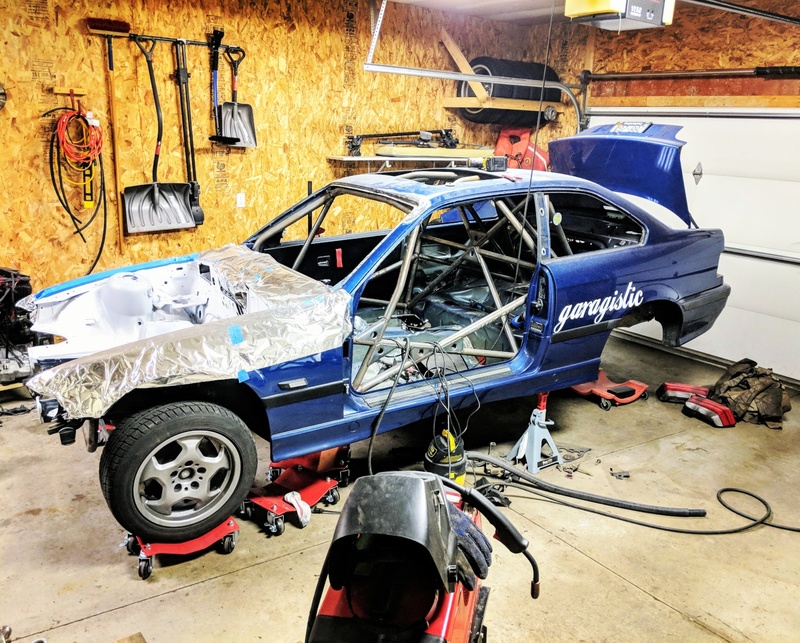 The current goal is to get the car put together in order to attend a few ice racing events this winter, and some rallycross events next spring. These events will not only get us seat time but will help to shake the bugs out of the car so that we're 100% ready for our rally debut in the summer of 2019. If everything goes as planned, our first automotive performance rally is scheduled to be the Central U.P. Rally in Powers, Michigan in June, followed by Ojibwe Forest Rally in Detroit Lakes, Minnesota in August, and Lake Superior Performance Rally in Houghton, Michigan in October. Bearded Ryno Rally Team has a dedicated Instagram and Facebook page where we post updates on the car regularly. In the near future, we'll have a YouTube page where we'll have video highlights of the car, team, and racing events. I would like to give a shout out to those that have helped us along the way so far. Thank you to our sponsors FCP Euro and Garagistic for believing in us and helping make this dream a reality. Thank you to my local welder/fabricator Adam at Final Fabrication and Repair in Trevor, WI. Last but not least, THANK YOU to my wife, friends, and family for putting up with all of my racecar shenanigans and aspirations. Stay tuned to FCP Euro's DIY Blog for more blog posts about our rally car build and race updates!